1. traits: colorless, easy to flow liquid, with aromatic odor. 15. Solubility: slightly soluble in water, soluble in most organic solvents such as benzene, ethanol and ether. Uses: used as a solvent for nitrocellulose, cellulose acetate, pharmaceutical intermediates for uracil, cytosine, thymine: use as a chromatographic standard, solvent and fungicide, also used in the preparation of flavors , acetone substitute use: GB 2760% 26mdash; 96 specified as edible spices allowed. Mainly used in the preparation of rum, apricot, peach, pineapple, assorted fruit and sherry. Uses: Occasionally used in the fragrance of household chemicals to modify the floral type, mainly used in fruit flavors such as cherries, apricots, peaches, strawberries, raspberries, apples, pineapples, bananas, plums, grapes, etc. It is commonly used in wines for rum, brandy, whiskey and white grapes. 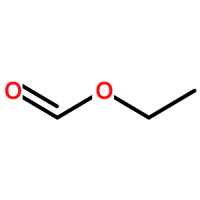 Uses: Ethyl formate is used as a solvent for nitrocellulose, cellulose acetate, etc., as well as fungicides, larvicides and fumigants for foods, cigarettes, cereals, dried fruits, and the like. Ethyl formate can be used as a flavor to blend aromas such as peaches, bananas, apples, apricots, pineapples, and berries. It can also be used as a spice for butter, brandy, liqueur, and whiskey. Ethyl formate is also an intermediate in organic synthesis. For example, in the pharmaceutical industry, it is used for the production of anti-tumor drugs, citricin and vitamin B1; ethyl formate and acetone are condensed in sodium methoxide-xylene solution to obtain sodium acetylvinylate, condensed with acetylglycine and then with thiocyanate. The potassium cyclization gives ethyl 2-mercaptoimidazole-4-carboxylate. Ethyl formate is used in the production of houttuyfonate, chlorpyrifos, rehabilitated dragon, pyrantel, thiabendazole, serotonin, and total synthetic hawthorn. Uses: Solvents for nitrocellulose and cellulose acetate, commonly used in pharmaceuticals as intermediates such as uracil. 1. Sulfation Process Formic acid and ethanol are directly esterified under sulfuric acid catalysis, and the product is refined after neutralization and washing. 2. Aluminum trichloride catalyzed esterification method is obtained by esterification of formic acid and ethanol in the presence of a crystalline aluminum trichloride catalyst. 3. Ethanol and formic acid are heated and esterified in the presence of sulfuric acid, and then dehydrated and distilled with phosphorus pentoxide or anhydrous calcium chloride. Purification method: Since ethyl formate is easily hydrolyzed, it usually contains free formic acid and ethanol and is acidic. When purifying, it is washed with sodium carbonate solution, dried with anhydrous potassium carbonate or phosphorus pentoxide, and fractionated. Calcium chloride forms a crystalline complex with ethyl formate and is not suitable as a desiccant. To a reaction flask equipped with a reflux condenser, 98 g of formic acid (61 g, 1.33 mol), anhydrous ethanol (2), 31 g (0.67 mol), and a zeolite were heated and refluxed for 24 hours. Distillation was carried out in a distillation apparatus, and the fraction below 62 ° C was collected, and the slippery liquid was saturated with sodium chloride, and then washed with saturated sodium hydrogencarbonate and saturated sodium chloride solution in this order. Drying with anhydrous sodium sulfate, fractional distillation, and collecting a fraction of 53 to 54 ° C to obtain 36 g of butyl formate (1) in a yield of 72%. With anesthesia and stimulation. After inhalation, it causes upper respiratory tract irritation, headache, dizziness, nausea, vomiting, drowsiness, and loss of consciousness. Irritating to eyes and skin. Oral stimulation of the mouth and stomach, causing central nervous system depression. This product is extremely flammable and irritating. Remove contaminated clothing and wash skin thoroughly with soap and water. Lift your eyelids and rinse with running water or saline. Seek medical attention. Quickly leave the scene to the fresh air. Keep the airway open. If breathing is difficult, give oxygen. If breathing stops, perform artificial respiration immediately. Seek medical attention. Drink plenty of warm water and induce vomiting. Seek medical attention. Extremely flammable, its vapor and air can form an explosive mixture. In case of open flame, high heat or contact with oxidant, there is a danger of burning and explosion. In a fire, heated containers are in danger of explosion. Its vapor is heavier than air and can diffuse to a relatively distant place at a lower place. It will ignite and ignite in case of fire. Move the container from the fire to the open space as much as possible. Spray water to keep the fire container cool until the end of the fire. If the container in the fire has changed color or produces sound from a safety relief device, it must be evacuated immediately. Extinguishing media: anti-solvent foam, carbon dioxide, dry powder, sand. Fire extinguishing with water is not effective. Quickly evacuate personnel from the contaminated area to a safe area, and conduct isolation to strictly restrict access. Cut off the fire. It is recommended that emergency personnel wear self-contained positive pressure breathing apparatus and wear anti-static overalls. Cut off the source of the leak as much as possible. Prevent entry into restricted spaces such as sewers and flood drains. Small amount of leakage: Adsorption or absorption with sand or other non-combustible materials. It can also be rinsed with a large amount of water, diluted in water and placed in the wastewater system. A large number of leaks: building dikes or digging pits. Cover with foam to reduce steam hazards. Use an explosion-proof pump to transfer to a tank truck or special collector, recycle or transport it to a waste disposal site for disposal. Closed operation to provide adequate local exhaust. Operators must be specially trained to strictly follow the operating procedures. Operators are advised to wear self-priming filter gas masks (half masks), chemical safety glasses, anti-static overalls, and rubber and oil resistant gloves. Keep away from fire, heat, and smoking in the workplace. Use explosion-proof ventilation systems and equipment. Prevent vapors from leaking into the workplace air. Avoid contact with oxidants and alkalis. The flow rate should be controlled during filling and grounded to prevent static buildup. Lightly load and unload during handling to prevent damage to packaging and containers. Equipped with the corresponding variety and quantity of fire-fighting equipment and leakage emergency treatment equipment. Empty containers may be harmful residues. Store in a cool, dry, well-ventilated warehouse. Keep away from fire and heat. The temperature should not exceed 30 °C. Keep the container sealed. It should be stored separately from oxidants and alkalis, and should not be mixed. Explosion-proof lighting and ventilation facilities are used. It is forbidden to use mechanical equipment and tools that are prone to sparks. The storage area should be equipped with leakage emergency treatment equipment and suitable containment materials. Transportation vehicles should be equipped with the appropriate variety and quantity of fire-fighting equipment and leakage emergency treatment equipment. It is best to transport in the summer and evening. The tank (tank) used in transportation should have a grounding chain, and a hole partition can be arranged in the tank to reduce the static electricity generated by the shock. It is strictly forbidden to mix and transport with oxidants, alkalis, food chemicals, etc. During transportation, it should be protected from exposure, rain and high temperature. Keep away from fire, heat and high temperature areas during stopovers. The vehicle exhaust pipe carrying the item must be equipped with a fire-blocking device, and it is forbidden to use mechanical equipment and tools that are prone to sparks. When transporting by road, follow the prescribed route and do not stay in residential areas and densely populated areas. It is forbidden to slip when transporting by rail. It is strictly forbidden to transport in bulk by wooden or cement vessels.